University United Methodist Church affirms that all children, youth and vulnerable adults have the right to safe sanctuary. We are determined to provide an environment in which all people are safe from neglect or abuse. This means that everyone who works with children or youth, whether paid or volunteer, have had background checks, have covenanted to never be alone with a child (the “two adult rule”), and are required to report suspected instances of abuse or neglect. If you have questions about this policy, please contact Rev. Diane. We offer Safe Sanctuaries training on a regular basis, so if you would like to work with children or youth, please watch Headlines and the weekly worship bulletin for training dates. Children’s Music Time meets at 9:15 a.m. in the Upstairs Dining Room. Instructors will accompany children to their Sunday School classes. Children’s Sunday school classes for children 3 years to 7th grade, are offered every Sunday from 9:30-10:30 a.m. The Pre-K- First Grade class is led by Pauline Kim and uses the Cokesbury Deep Blue Kids curriculum. The class meets in the upper level classroom next to the kitchen. One parent stays with theclass on a rotating basis. Please email Pauline to be part of the rotation! The Second and Third Grade class is led by Cindy Zirwes and meets in the upper level classroom in the northwest corner of the building. The class also uses the Deep Blue Kids curriculum. This group meets in the balcony classroom in the Sanctuary and is led by Mark Brown. They study a unique curriculum developed by Mark titled, "The World Before Jesus: Greek and Roman History." This class gives students a historical foundation that helps prepare them for Confirmation. Kids of all ages are welcome to the Kids' Prayground in the sanctuary during worship. We'll have special projects to work on and new ways to be involved in worship! Our nursery will be open for kids up through age 5 during this time as well. Children of all ages are welcome to be part of worship, however for those children who want to experience worship outside the sanctuary, we offer play time in our downstairs multipurpose room. Parents/guardians may pick up their child following worship. Children of all ages are welcome to be part of worship. For children who need a break, we have a nursery for children from birth to 5 years old, from 9:15 a.m. until the end of worship on the main floor. Our nursery staff have been trained in the UMC's Safe Sanctuary program, and they welcome the children and provide a safe and loving environment for play! 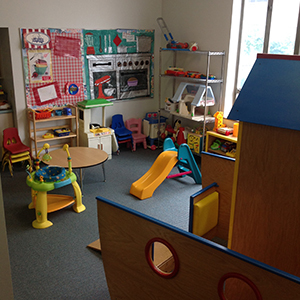 The UUM Preschool was founded by UUMC member Jane Paine and is currently led by Preschool Director Pam Schmidt. UUM Preschool is a secular, non-profit, developmental preschool serving University City, Missouri and surrounding areas for over 50 years. Our philosophy is one of inclusion and we feel like all kinds of diversity enrich our program. We welcome everyone on a first-come, first-served basis, embracing racial, ethnic, religious, developmental, and economic differences.